In this work we consider an inference task that biologists are very good at: deciphering biological processes by bringing together knowledge that has been obtained by experiments using various organisms, while respecting the differences and commonalities of these organisms. We look at this problem from an sequence analysis point of view, where we aim at solving the same classification task in different organisms. We investigate the challenge of combining information from several organisms, whereas we consider the relation between the organisms to be defined by a tree structure derived from their phylogeny. Multitask learning, a machine learning technique that recently received considerable attention, considers the problem of learning across tasks that are related to each other. We treat each organism as one task and present three novel multitask learning methods to handle situations in which the relationships among tasks can be described by a hierarchy. These algorithms are designed for large-scale applications and are therefore applicable to problems with a large number of training examples, which are frequently encountered in sequence analysis. We perform experimental analyses on synthetic data sets in order to illustrate the properties of our algorithms. Moreover, we consider a problem from genomic sequence analysis, namely splice site recognition, to illustrate the usefulness of our approach. We show that intelligently combining data from 15 eukaryotic organisms can indeed significantly improve the prediction performance compared to traditional learning approaches. 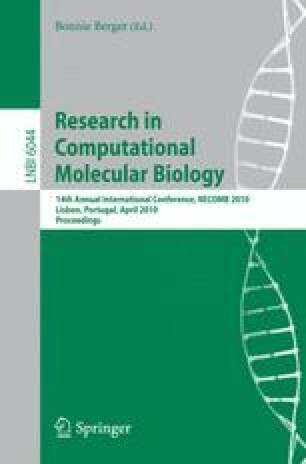 On a broader perspective, we expect that algorithms like the ones presented in this work have the potential to complement and enrich the strategy of homology-based sequence analysis that are currently the quasi-standard in biological sequence analysis.